Polaris Industries revealed their 2019 model year side-by-side lineup last week with improvements across a host models. In the Ranger product line Ride Command technology will now be available for select Ranger XP 1000 models as a factory-installed package. 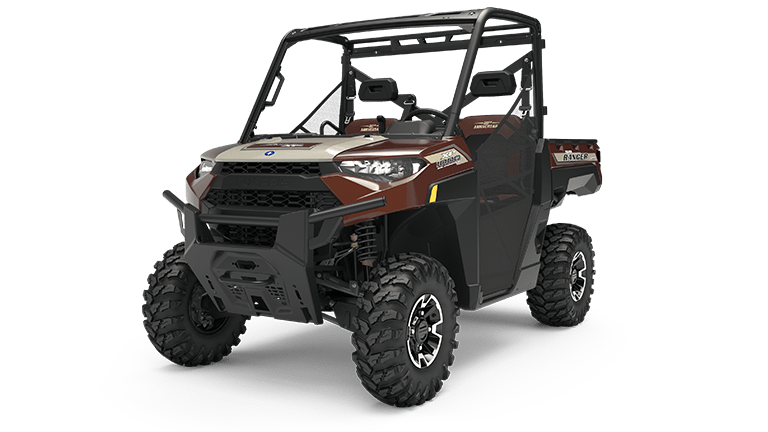 The Range XP 1000 and Ranger Crew XP 1000 models now include a 20th anniversary edition and the new High Lifter Edition. 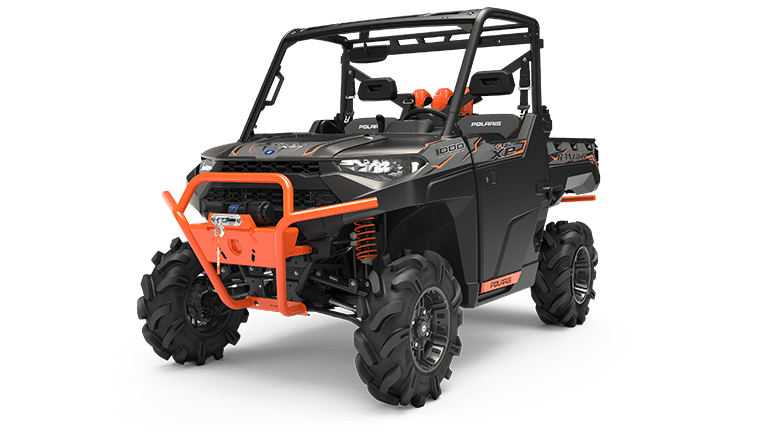 2019 model year RZRs feature aggressive styling and performance upgrades across the product lineup. Ride Command will be available in all RZR XP 1000 colors and the RZR XP 1000 Dynamix vehicles. The trail-ready RZR S4 1000 is now powered by a 100 hp engine. The General lineup has been updated with performance and technology upgrades, as well as new colors and graphics. The following are more specific features for select models. The 2019 model year Polaris Ranger XP 1000 EPS High Lifter Edition with redesigned half doors and improved driveline strength. Seven-inch glove-touch display features built-in navigation and front and rear cameras. System provides vehicle diagnostics, allows smartphone connectivity and factory-installed in-dash speakers. Interactive interface gives every type of rider the freedom to stay connected while hunting, working on their ranch, or trail riding. Available in four new color options including Steel Blue, Pearl White, Magnetic Gray and Polaris Pursuit® Camo. The 2019 Ranger XP 1000 EPS 20th Anniversary edition with two-tone maroon and tan colors and embroidered seats. 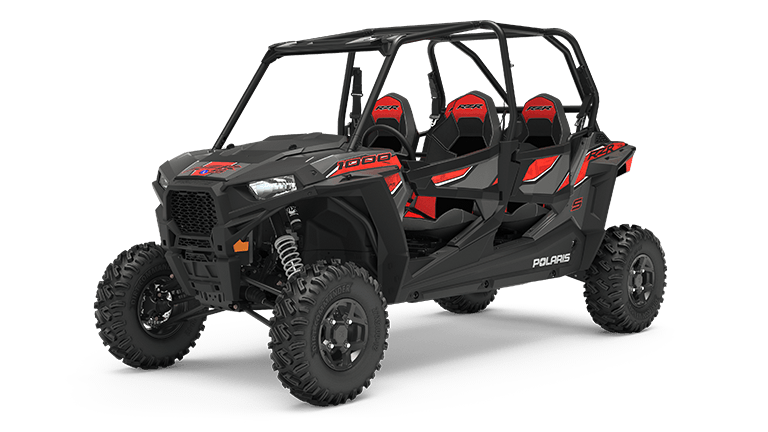 The 2019 model year RZR S4 1000 EPS now features 100 hp. 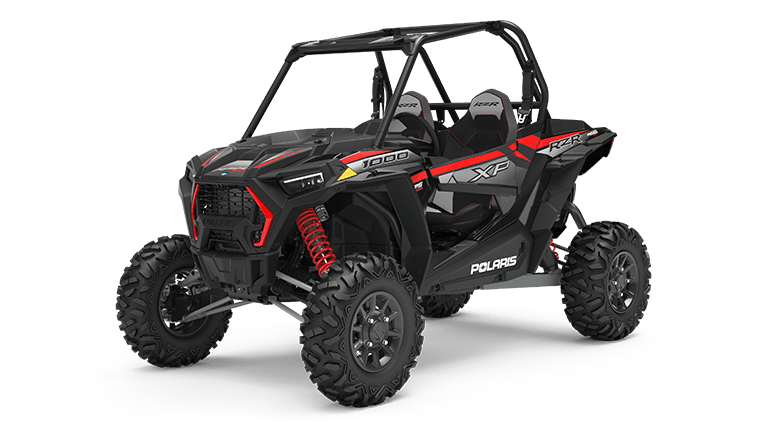 The 2019 RZR XP 1000 has new styling and LED lighting. This entry was posted in market trends, new vehicle, Polaris, Pricing info, side-by-side, Technology, utility vehicles and tagged 2019 model year, 20th Anniversary edition, General, High Lifter, Ranger, Ride Command, RZR, XP 1000 by Marc Cesare. Bookmark the permalink.